In fact, there were definitely a lot of models but many were conceptual, not realistic, and they were most often built in a time frame most people would consider insane. Sometimes you didn’t get to sleep much. And then when your model (and accompanying drawings and documents and diagrams etc.) were done, you had to stand in front of a room of professors and your peers while everyone told you what was good about them (usually a few things) and what wasn’t great (usually ALOT of things) I actually don’t think I’ve been as consistently stressed out ever before or since those three years. Of course, a lot of good things come out of an experience like that. You definitely develop a tough hide for constructive criticism which I think is great. In fact, it’s probably the best thing I learned from grad school. And you learn to present your ideas in a clear and concise manner which is another good skill. But more than anything, I learned my way around an exacto knife and various kinds of glues and fixatives like nothing else. I often joke with Aa that we don’t have Masters of Architecture degrees, we have Masters of Cutting and Gluing! All that to say that a few weekends ago, I had an itch to make something. Anything. Does that happen to anyone else? I couldn’t sit still, none of my current projects seemed interesting and O was napping. 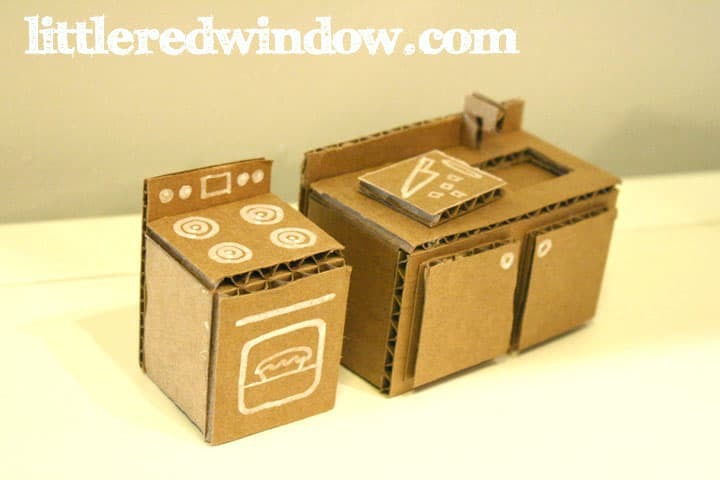 Which is when I saw a bunch of boxes waiting to go down to the recycling bin and I remembered I had pinned a little cardboard house on Pinterest the other day. The box I had wasn’t big enough to make a house that O would fit in, but, I thought, he does have several sets of Melissa & Doug Whittle World people and loves to play imaginary games with them, maybe they should have a toy house! That picture is terrible, sorry! Next I added floors and the peak for the roof. I connected the pieces with green frog tape, turns out it sticks pretty well to cardboard although next time I think I would add a little glue too. Then I added the roof and another floor for the attic. 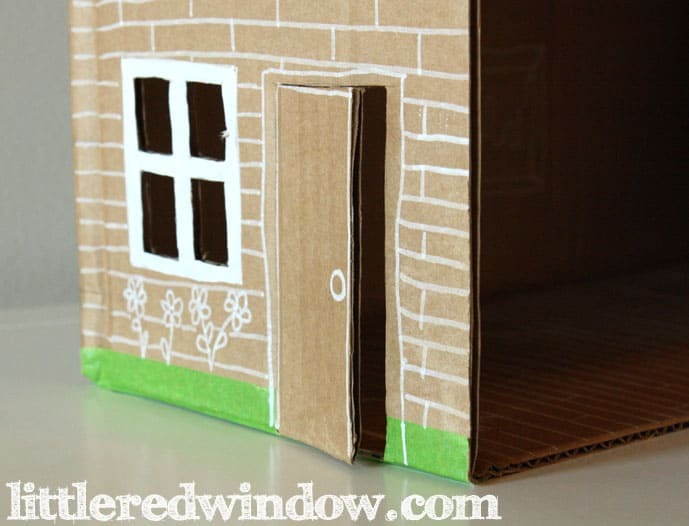 When I had the basic shape of the house I started decorating it with a white paint pen. At this point O had woken up,came into the kitchen and said, “Oh! A little house! Is that for me to play with? !” And he waited (mostly) patiently until I was done. The firemen really liked their new digs but they seemed a little uncomfortable. Could I let them live in an empty house? No way! So I did a little interior decorating and made some quick essentials. Perfect place to take a load off! The firemen are very fond of taking naps in their new bed! This was a great tutorial. Thank you for the inspiration! 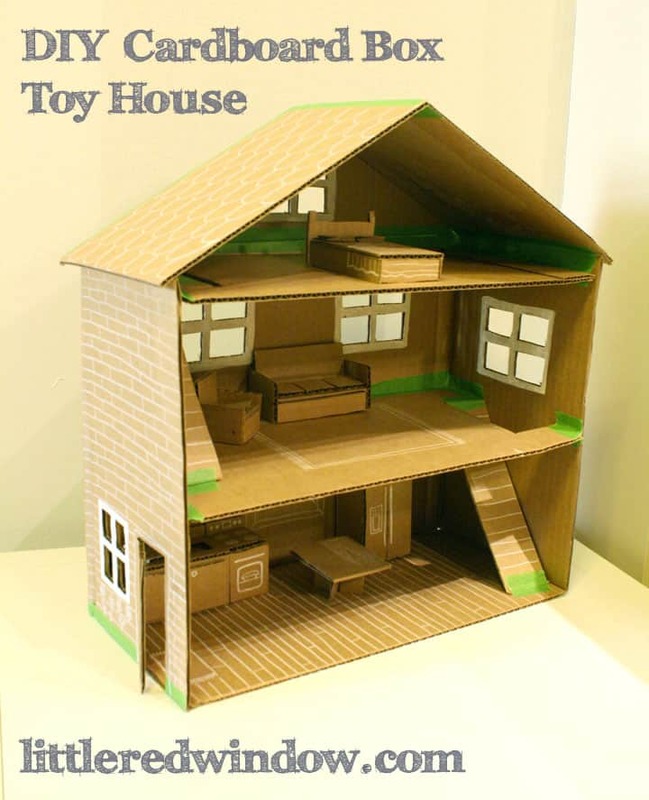 I modified the design a little bit to add a tunnel-like chimney so my son could put our hamster in the dollhouse too. Turns out this works just as well as a hamster playground! I’m full of ideas now. 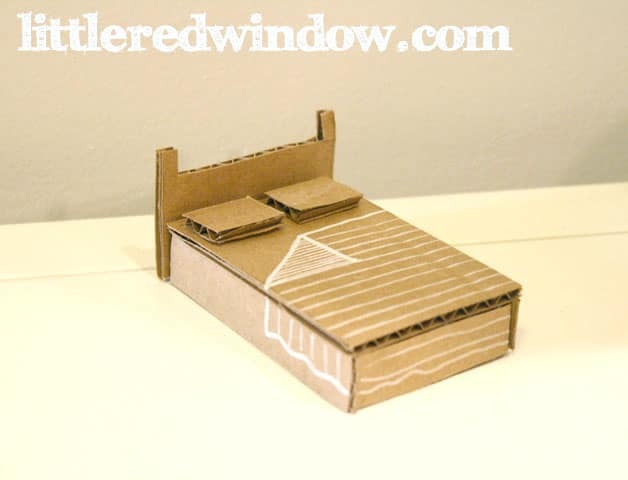 Who knew the humble cardboard box could be used in so many ways? How did you make the door open and close? he cambiado mi contraseña y no se si llegó mis comentarios! awww, thank you Cathryn! That’s so nice! I’d love to see how your house turns out! This is so cute. I have a collector’s doll house that the kids have completely destroyed. It was so hard to keep them from playing with it. 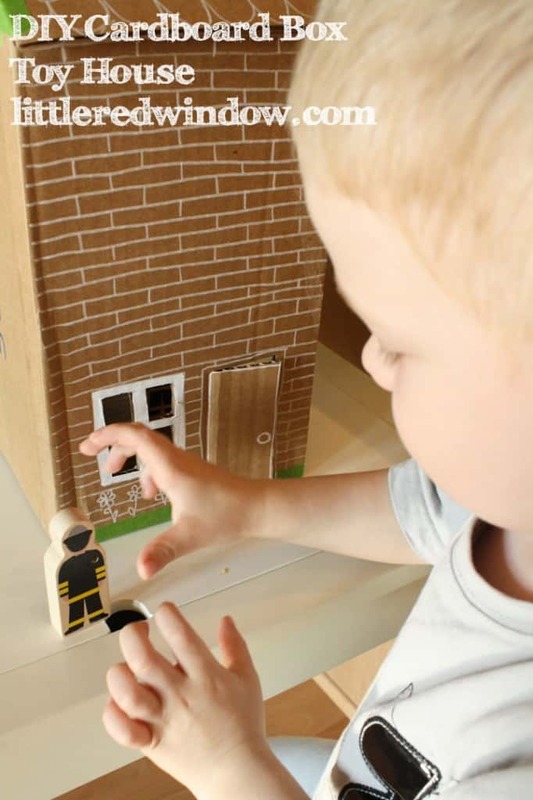 But something like this, they can play with as much as they want and I won’t want to cry when something gets broken:) Thanks for sharing on Thank Goodness It’s Thursday. That’s exactly what I was thinking when I made it! Thanks Jordan! This is so adorable! I love all the little details! Pinning! This is so cute! You are very talented! Thank you so much Amberly! …and I LOVE this too! thanks (for both comments!) Lynette! 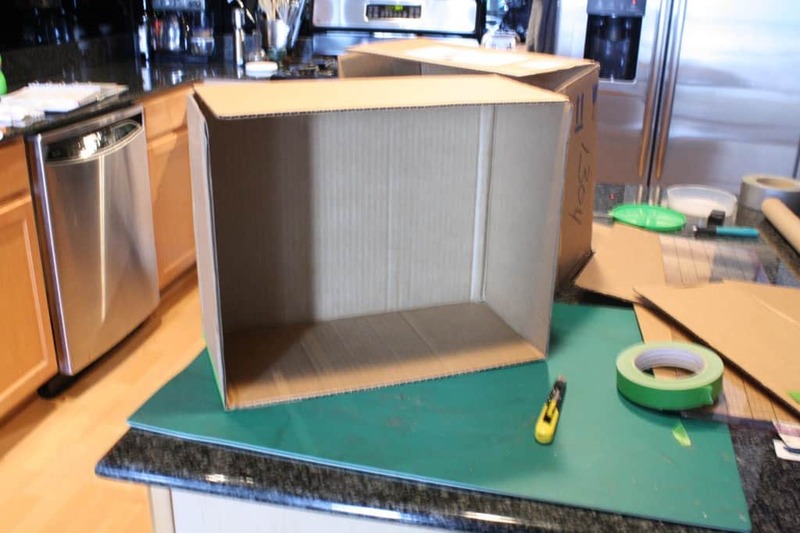 When I retire to a cardboard box on the street, I hope you’ll be my interior decorator. Lol, you got it, Dad! xoxo! 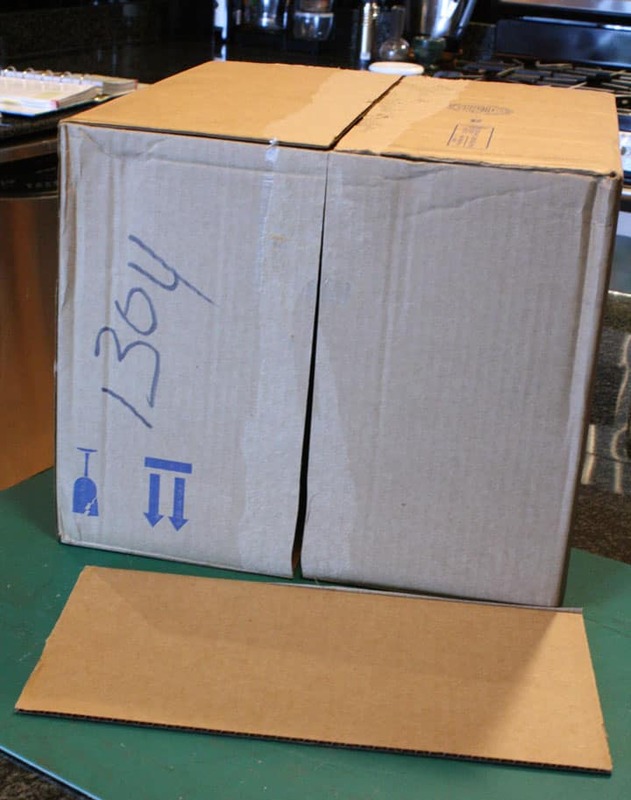 You are very talented at making things out of cardboard. I’m not really sure how many people can say that…? 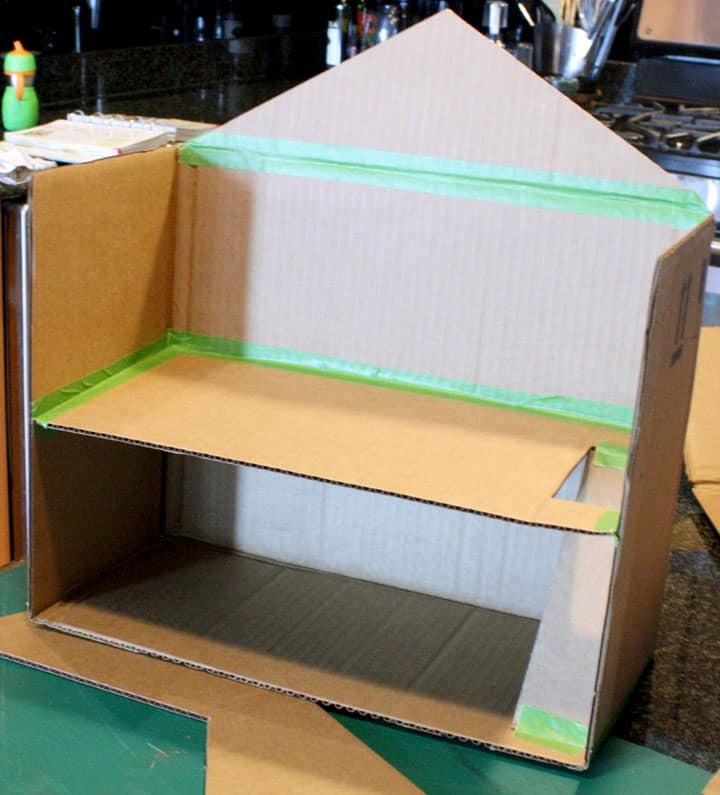 If I tried to make a cardboard stove, it’d end up looking more like a boulder. Or a triangle. Possibly a badger. I digress. This is adorable and you did a great job. 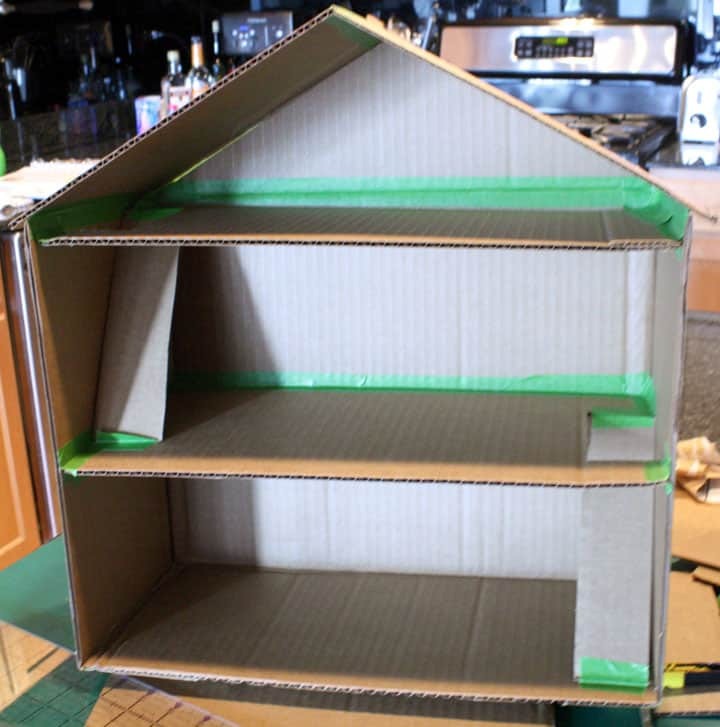 I kinda want to make a cardboard house now, even though my daughter is 11. Perhaps it’ll just have one floor so she can fit her Monster High dolls in it. LOL, Stephanie! I’m sure “good at making things out of cardboard” is a very marketable job skill too! 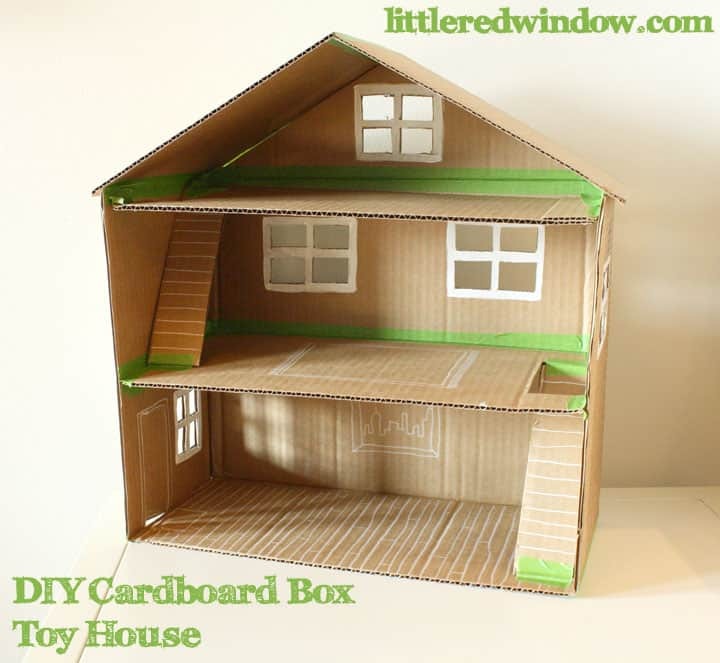 I think a one story cardboard house is great idea! 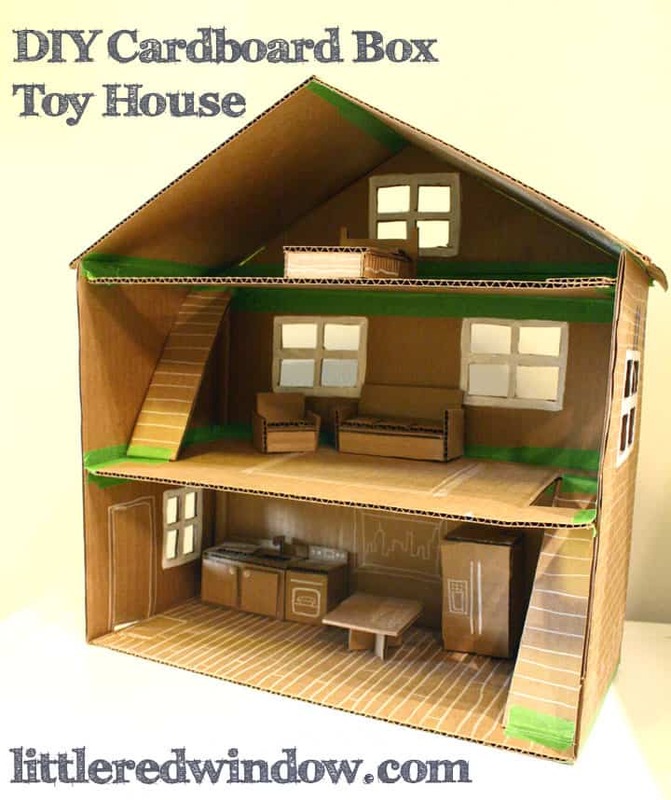 This is one of the best recycled doll houses I’ve seen. I love how you used a white pen to add details. Visiting from Linkin Blog Party. Thank you so much Erlene, that’s so nice! Thanks for visiting! Oh my gosh this is so cute! My kids like to make cars out of diaper boxes but nothing near this elaborate. Cars are a great idea too! 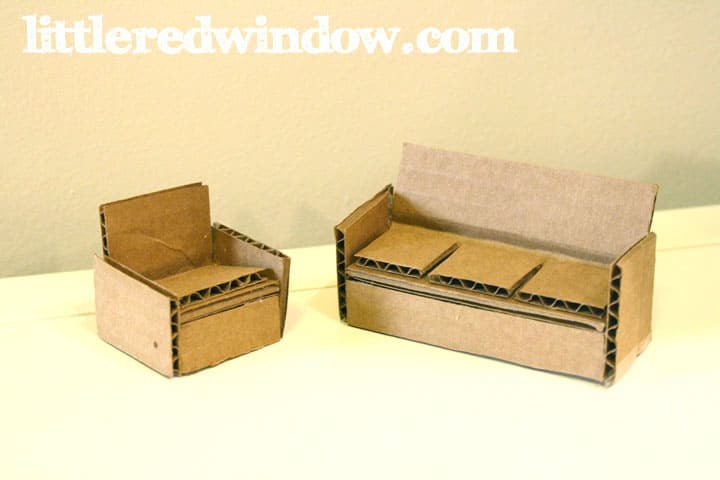 Cardboard boxes are a dream craft material, don’t you think? They’re free and plentiful!